Download Raid: World War II (2017) for Mac OS. New co-op first person shooter video game developed by Lion Game Lion and published by Starbreeze Studios. Languages: English, French, German, etc. 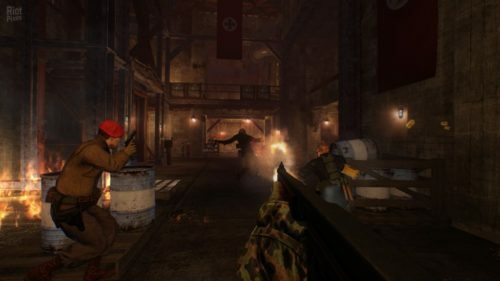 Raid: World War II is a co-op first person shooter that will see players battle and rob their way through occupied Europe. It sounds a lot like a period version of Payday, but the game’s pedigree makes this no surprise. Gameplay will be class based, as you can choose from four different ones. They include Assault, Recon, Insurgent and Demolition. Each possesses a skill tree to enhance various playstyles. All classes will have a War Cry ability that buffs themselves or their entire team. 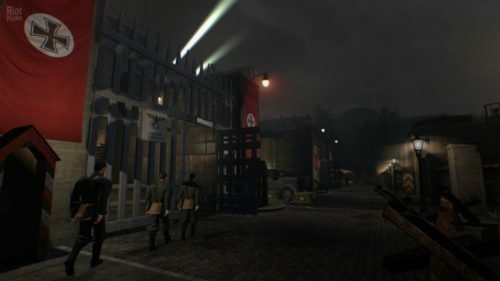 Players assume the role of Great Britain, the USA, Germany and Soviet Union, and each will have a unique look. Weapon mods are definitely part of Raid, as those include custom barrels, fore grips, optic sights and more.